Founder and Director, Academy for Coaching Excellence. Clinical Psychologist, Master Certified Coach. Those words were spoken in the early 1900s by a man in his 94th year, the head of a major spiritual movement. Just reading it can fill you with energy. Can you imagine: 90+ and still sizzling? If you think that it's too hard to discover your life's passion and purpose, if you say to yourself you're too busy just keeping your head above water, I have two words for you: It's not. I've worked with people for over 35 years to find what brings them joy and meaning. It doesn't take long. When you have a sense of purpose, it's possible to help circumvent stress. It is a well-known fact that prolonged stress and anxiety can produce cortisol in the brain, which over time can harm certain neural centers. Knowing what's important to you -- seeing it clearly -- helps you to shift the focus of your attention to what brings you joy and happiness. In my work with thousands, we've discovered that it's virtually impossible to be stressed and creatively happy at the same time. Knowing your purpose, you can shift the focus of your attention to what brings you joy. In just a few moments out of your life, I can show you how to see what lights you up. It's simple. But before we look at actual techniques, let's think for a moment about the benefits to your brain when you see -- and follow -- what's important to you. The Daily Good recently re-published an article in which Sarah McKay, Ph.D. described the positive effects upon our brain that comes with knowing our life's purpose. For example, she cites a study that Dr. David Bennett, Director of the Memory and Aging Unit at the Rush Medical Centre in Chicago, put in a paper in the Archives of General Psychiatry in 2010. This is what Dr. Bennett found: People who have meaning and purpose in their life have lower risk of Alzheimer's disease and cognitive impairment in later life. We don't know exactly why this is so. However what is clear is that there is an association between brain health and the experience of purpose in life. And, looking more generally at living a long life with good health, and a sense of purpose, there's a term coined by the Japanese called ikigai. It means having a "reason for being" or a "life worth living." According to Japanese culture, everyone has an ikigai. It is essentially a reason to get up in the morning - a reason to enjoy life. 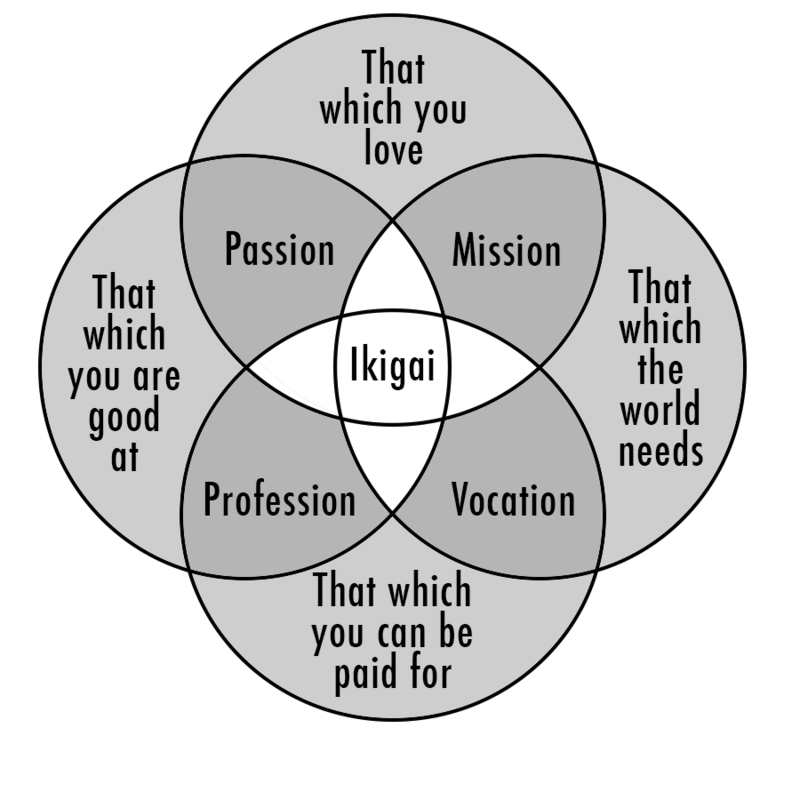 In a TED Talk, Dan Buettner referenced ikigai as one of the reasons people on Okinawa have such long lives. So, let's look at a way to locate your life's purpose or purposes, so that you can use them to have a reason to get up in the morning, thereby creating more brain health. Another way to think of a life's purpose is as a "life's intention." Intention is defined as "a direction, aim, or purpose." 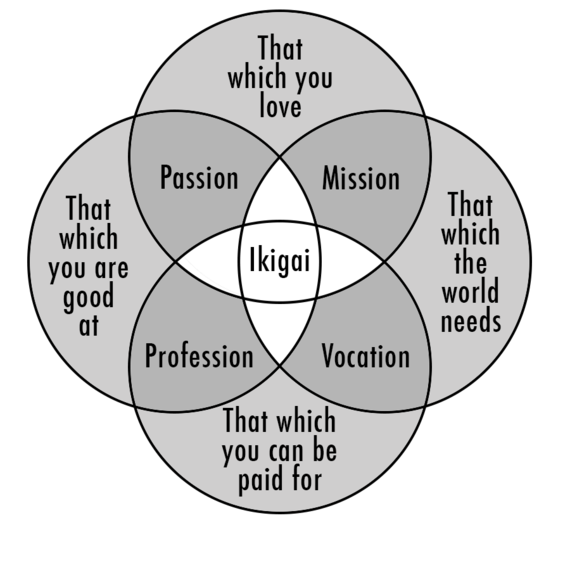 A life's intention, therefore, is a direction, aim, or purpose that is a recipe for ikigai -- a life worth living. Over the years, in talking with people about what makes their lives worth living, we've found similarities that seem to be universal. I've included some of the major ones here. Look at the list of your possible life's intentions and, without overthinking it, assign each one a score of importance to you from 1 to 5. Five is the most important. Don't consider whether you are currently experiencing the intention; just measure its significance for you. In other words, to what degree does it make your heart sing when you think of it? As you rank these, are there any others that come to mind that score 5? Write them down. This is a good way to get your brain thinking along these lines. Now, take the life's intentions that score 5. Put them where you can see them each day for at least the next 30 days. You might write them on an index card, or use them as a screen saver. Have them in a place where your brain can see them. You want it to be easy for your brain to focus upon what brings you meaning and joy. Thirty days creates a habit of thinking. The point is this: Many neuroscientists are beginning to see that it is fairly simple to train your brain. You can incline it toward whatever outcome you choose by pairing it with a specific emotional state. The phrase they use is this: Cells that fire together, wire together. Look at what your life's intentions mean to you, and how happy they could make you feel were you to demonstrate them in your everyday life. You just may find yourself living them on a day-to-day basis. Charles Fillmore was sizzling in his 90s. Let's you and I get our sizzle on today!